This CD has truly been a labor of love. 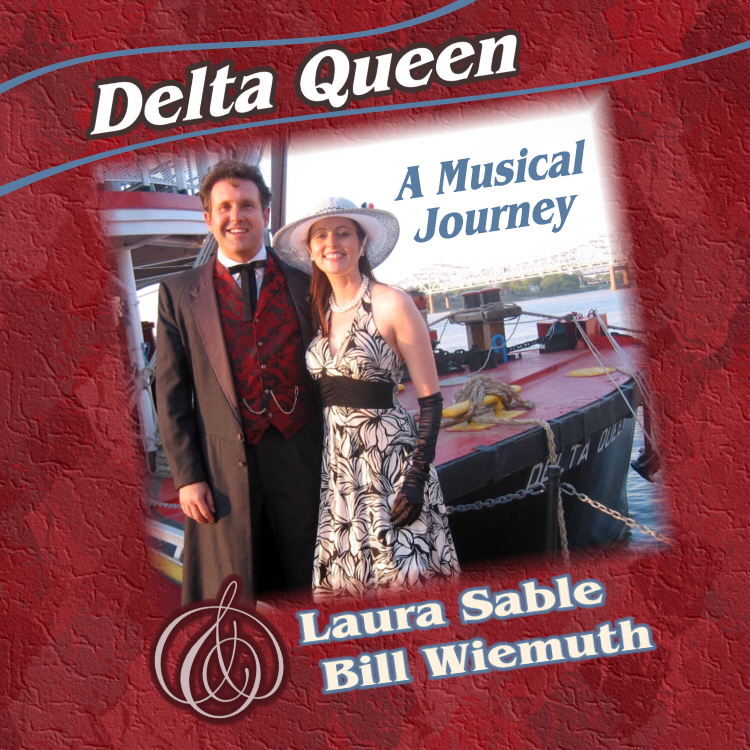 In our research, we found many songs written about the Delta Queen and this CD includes those songs as featured in our Delta Queen show performed onboard. The CD is $12 plus $3 shipping. Just email me (Billwiemuth@yahoo.com) your mailing address and I’ll send one out with an invoice payable by check. To hear samples of each track, just click on the links below. Enjoy! The CD is $15 plus $3 shipping. 1. Just email me (Bill@riverhistory.com) your order and the mailing address where I should send the CD. 2. I’ll email you an invoice, payable online with a credit card. 3. I’ll ship the CD out to you, first class USPS mail. We also would like to extend our heartfelt appreciation to the talented songwriters and/or their accomodating publishers who have allowed us to record this great collection of songs about the boat and representing its history. “Delta Queen: A Musical Journey” is available for $12 plus $3 shipping. Just email me (Billwiemuth@yahoo.com) your mailing address and I’ll send one out with an invoice payable by check.